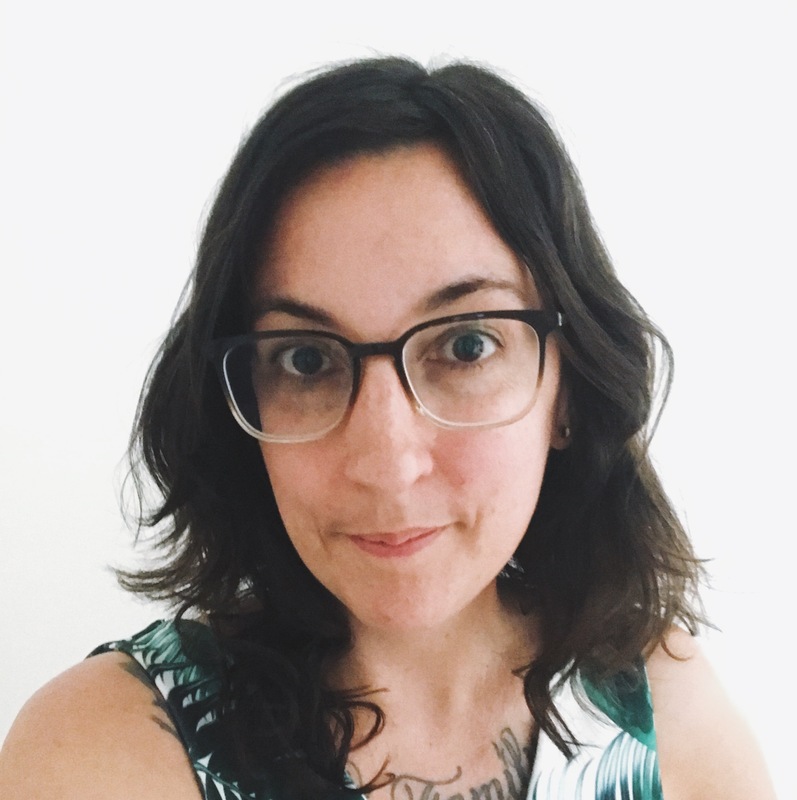 Anda: Ever since I discovered the drawing app Procreate (an iPad exclusive) last year, I have been designing fabric almost entirely digitally. 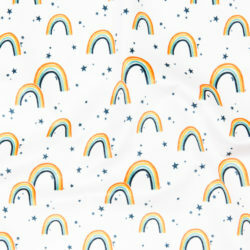 In fact, I have been designing fabric from my couch, and can have it completely uploaded to Spoonflower and in the mail without getting up at all ever (except to refill my coffee mug). But, like most everyone creating fabric on their iPads while sitting on their sofas, I struggled to create repeating patterns without errors. The app I used had no easy tool for offsetting a design like I was used to. Up until last February I was using a very precise method I like to call “eyeballing it” — but as you can probably guess, all my finished fabric had pixel lines and I was wasting a ton of time. Finally I decided someone out there must have figured out a solution and so I started searching, eventually uncovering a video tutorial, which promptly changed my life. 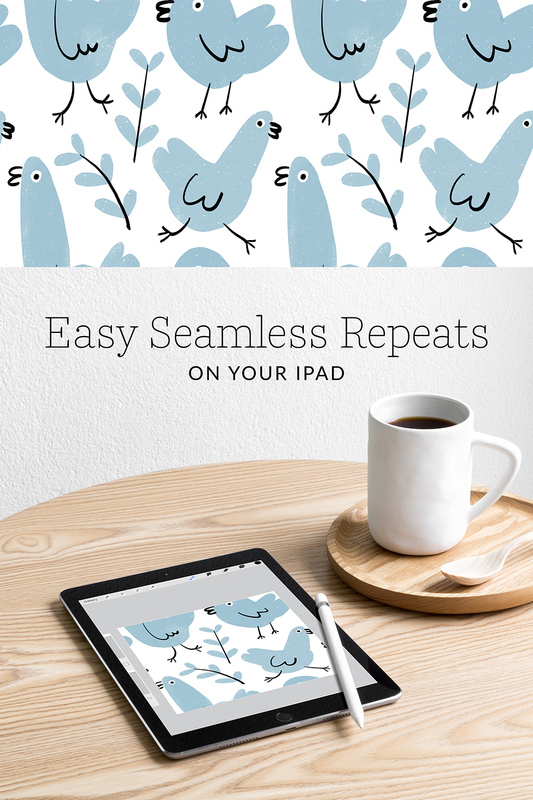 Because of this wizard of a human—abbieuproot on Spoonflower—now we can all design flawless repeats on our iPads and remain cozily ensconced in a throw blanket until our legs atrophy. Inspired by her video, I’ve written an explanation with screenshots for you here. Enjoy! 1. Create a new canvas. 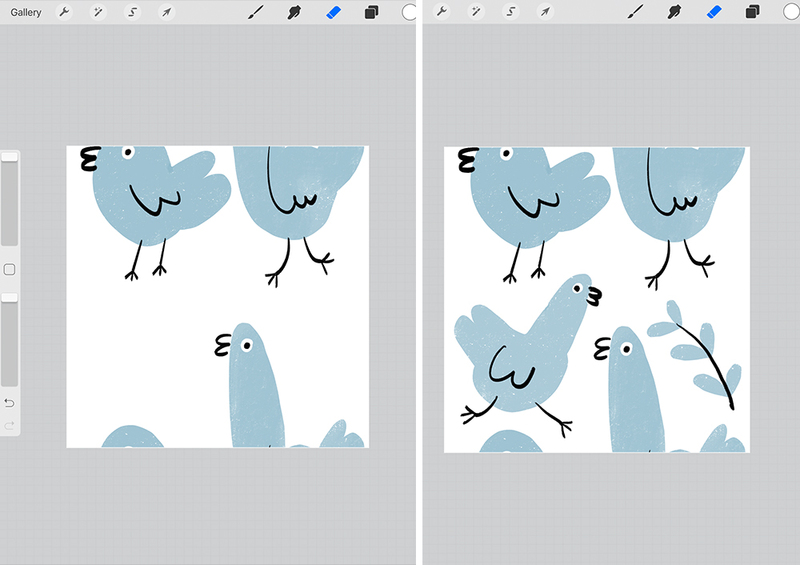 I almost always work in an 8×8” square at 300dpi when designing on the iPad. I like this size because 8×8” is the size of a Spoonflower swatch, but at 300dpi I have more options for adjusting the scale of my design. Important note! 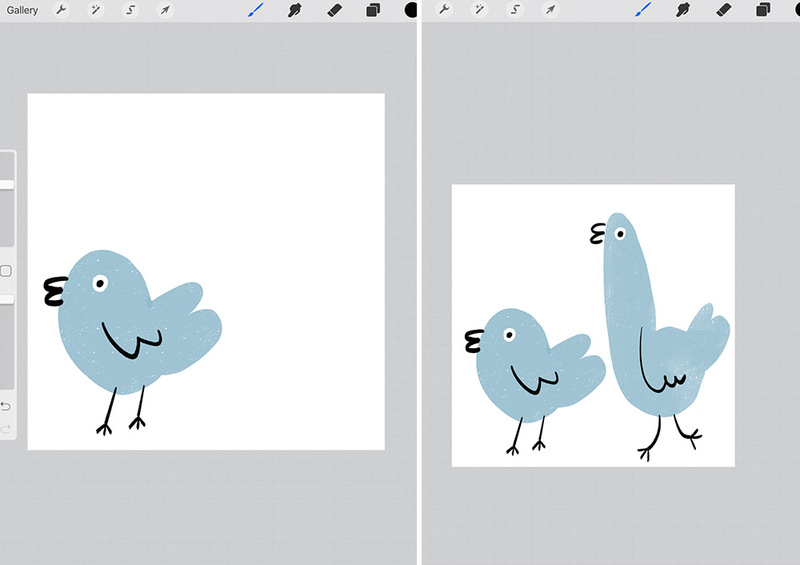 When you upload a design, it’s converted to 150 dpi which can cause some unexpected changes in scale. You can use the Smaller/Bigger buttons or enter in a specific dpi by clicking on the “Change DPI” link on your design page. 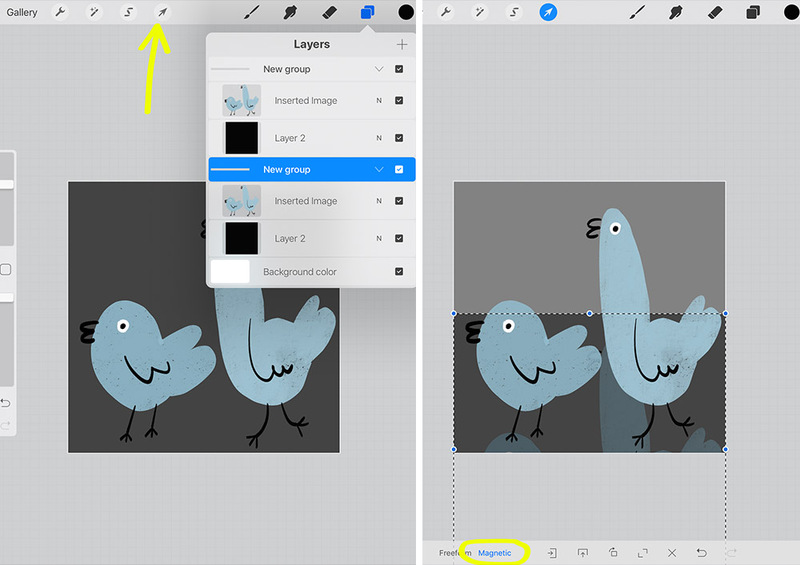 Once you make an adjustment, don’t forget to click on “Save this Layout” to make the change stick. 2. Draw within the canvas. To keep things simple, don’t let any of your work run off the sides — keep everything within the canvas borders. 3. 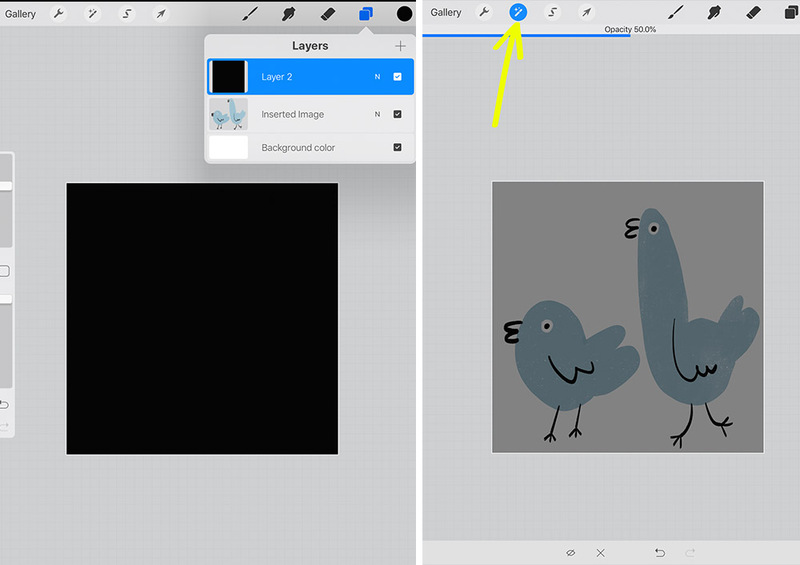 Click the + sign on the layer panel to create a new layer. 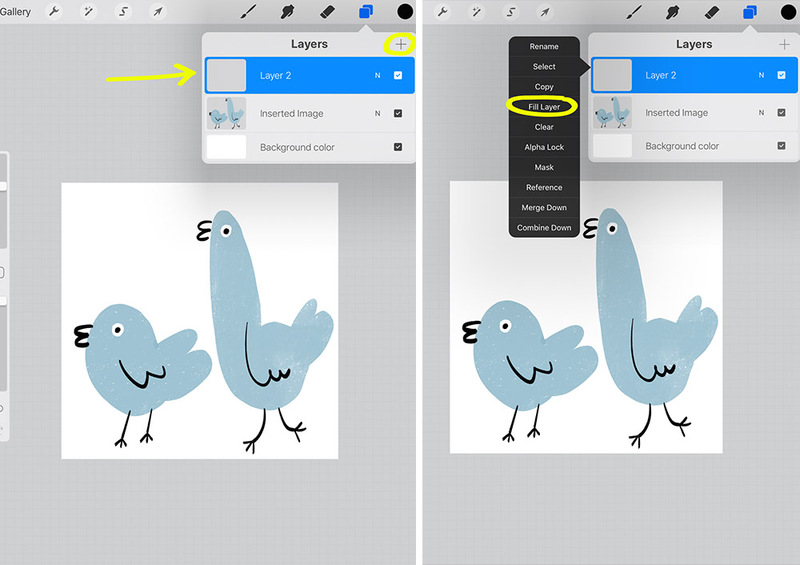 Select a dark color in your color palette, then tap the new layer in the layers panel. Choose Fill Layer to fill the new layer completely with color (I used black). 4. With the color-filled layer selected, choose Opacity in the tools panel and drag the bar to the middle, somewhere around 50%. 5. Next, select Combine Down from the layers panel. The two layers will be combined into a group called, well, New Group. Swipe left on this group and choose Duplicate. This will create a second New Group. 6. With one of the groups selected, click the arrow button to select the entire panel. 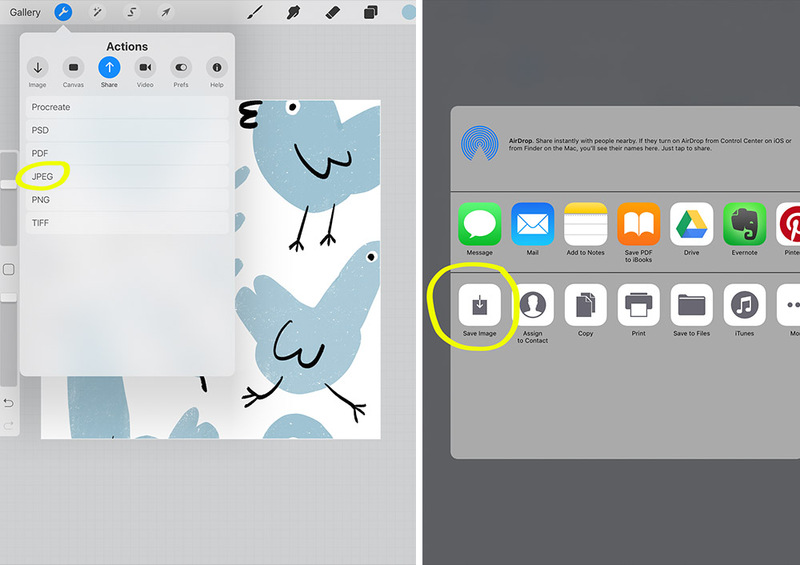 Making sure Magnetic is highlighted at the bottom, drag the group about halfway down the screen. 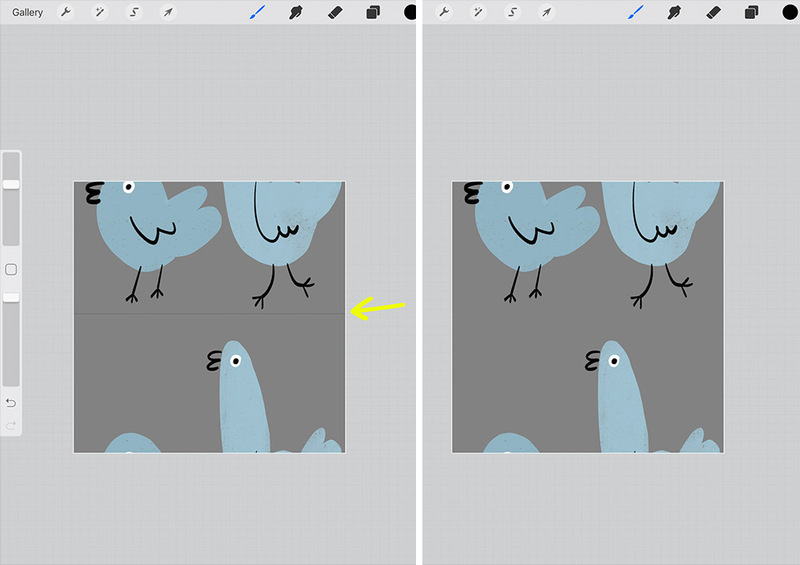 You need Magnetic on so the sides snap in place — you don’t want the drawing falling off the left or right side. 7. Select the second group and drag it up. 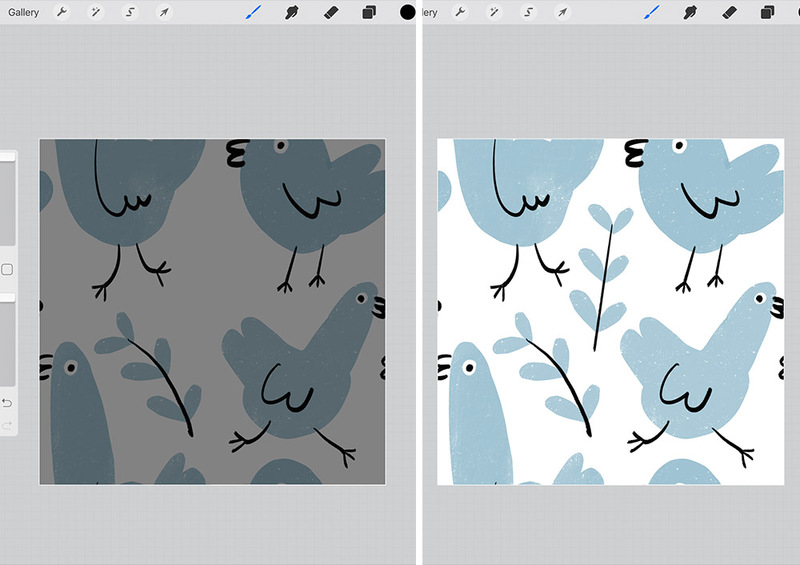 The sides will snap to the left or right but you will see a darker line where the two 50% opacity panels overlap — this is the magic! Tap the screen directly above the drawing to nudge the panel pixel by pixel until the line vanishes and you see only grey. Double check that there aren’t any white lines to the left or right of either image. 8. 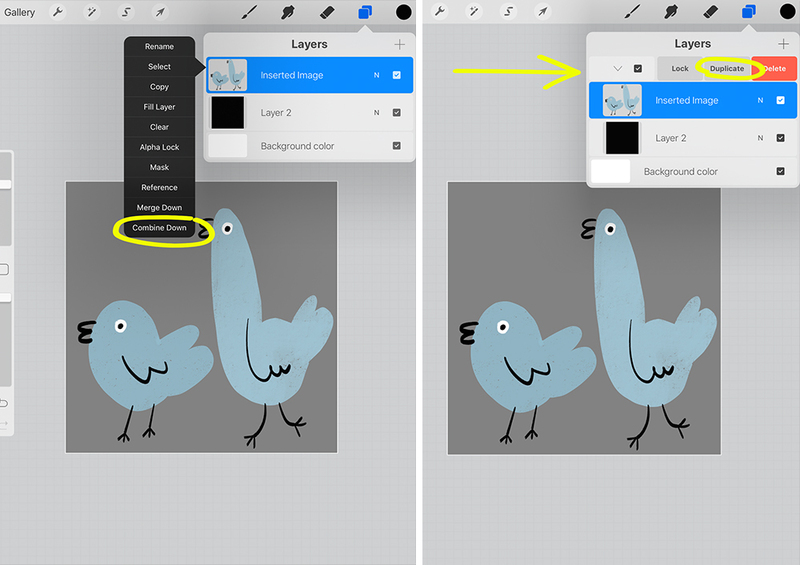 Now, you can then delete the 50% opacity layers and merge the two remaining layers that make up your drawing. Draw in the white space, but don’t draw off any of the edges of the canvas. 9. Repeat steps 3-8, but this time drag the groups to the left or right. Draw as much as you like in the empty spaces. 10. Once you are happy with your design, go ahead and just upload it from your device! Click Share in the tool panel and select JPG. Save locally to your Images folder. 11. 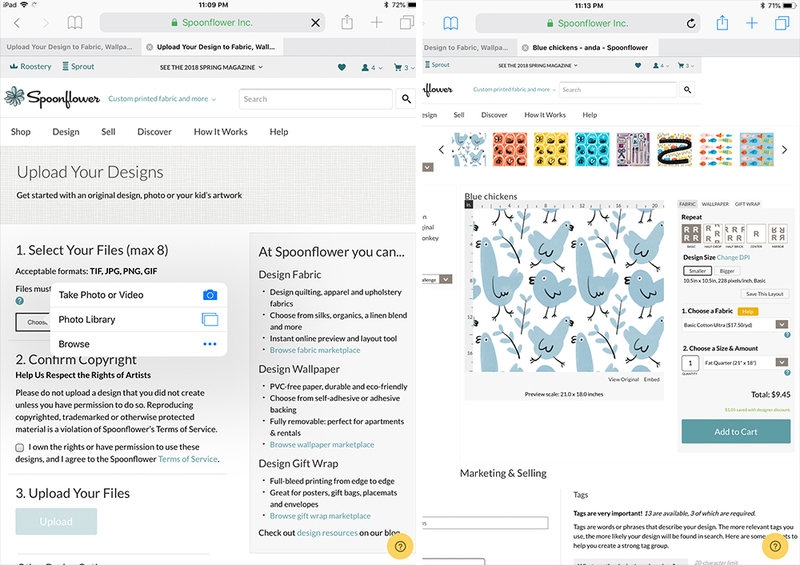 From here, you can open Spoonflower in your device’s browser and upload your image. All done! See how easy? Here are some more designs I made completely digitally. 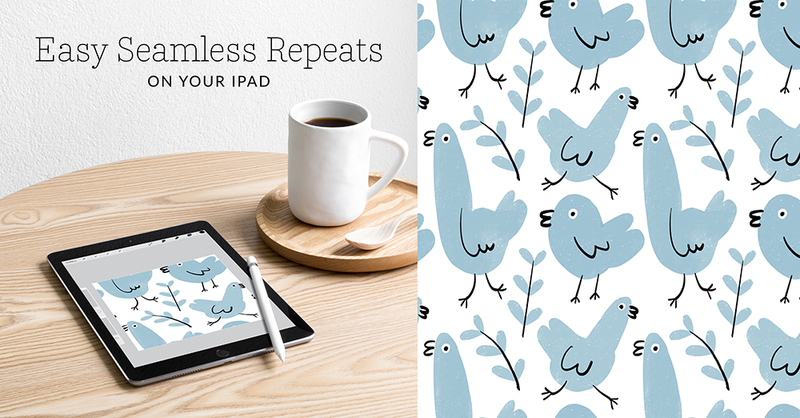 Drawing apps are a fun and inexpensive way to get super addicted to surface design, but you can also achieve seamless repeats with paper! I love seeing others’ work on Instagram, so comment @andacorrie if you design something using this technique! 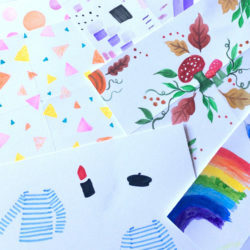 If you loved the playful designs Anda featured in this tutorial, wait until you see what else she’s got on fabric, wallpaper and gift wrap in her Spoonflower shop! Thank you so much Anda! This is very useful method. You resolved the mystery of creating repeats on iPad!!! We’re so glad you found Anda’s tutorial helpful! 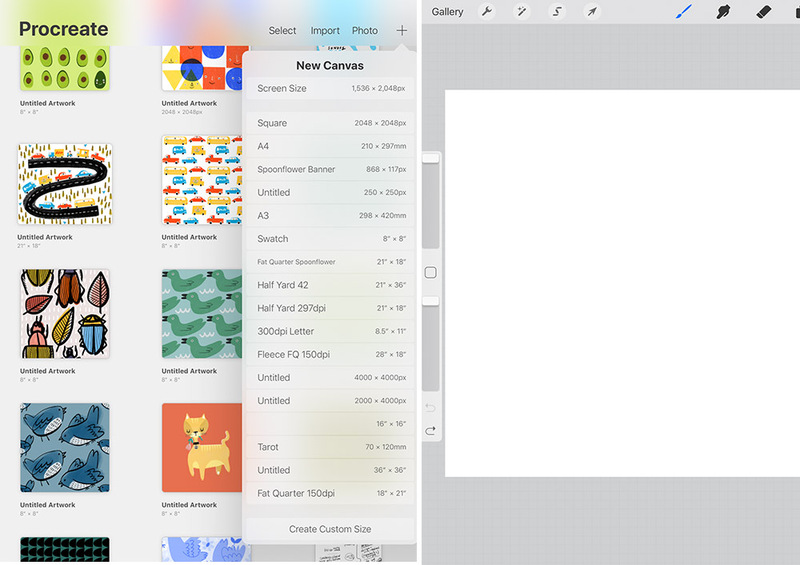 Designing from your couch has never been easier thanks to Procreate! I sooo appreciate you taking the time to produce this feature…I knowww how much time and work it takest to create!! And to share what you learned by building on (and giving credit to) other’s who helped you is huge. 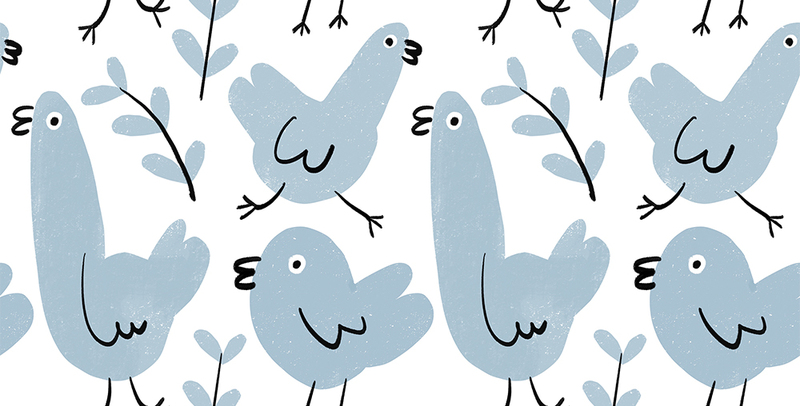 Thank you for making my new Spoonflower experience even more enjoyable while creating! This was such a helpful tutorial. I too have been eyeballing my designs done on Procreate, and now my designs should have a better flow. Thanks! If I could, I’d kiss you 😘 Thank you so much for this, and no need for another app. Brilliant. Me too!!! I need more guidance on that final step! HELP! Thanks for the tutorial! 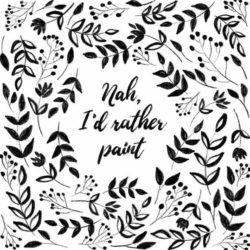 I am thinking about going digital! What kind of stylus do you have? Anda is using the Apple Pencil! Thanks for the tutorial. I have been practicing , but sometimes the seems don’t align properly. But I will keep practicing. I love it. Thanks. I love this!! Thank you. 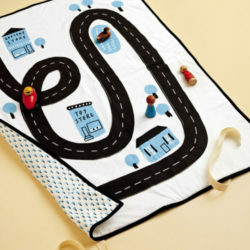 Awesome, this is very useful! Oh my god, thank you! I could cry.